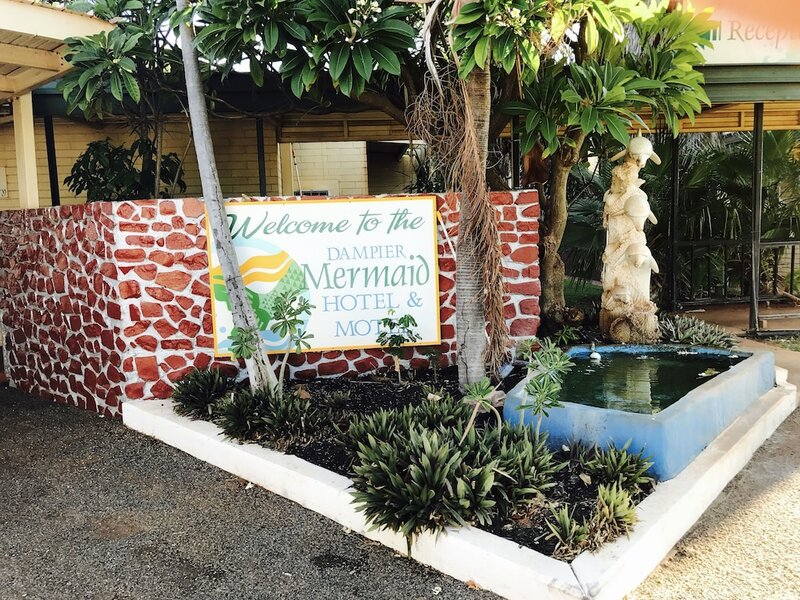 When you stay at Dampier Mermaid Hotel Karratha in Dampier, you'll be 14 minutes by car from Hearsons Cove. This motel is 13.3 mi (21.4 km) from Karratha Visitor Centre and 13.6 mi (21.9 km) from Yaburara Heritage Trail. Make yourself at home in one of the 68 air-conditioned rooms featuring refrigerators and flat-screen televisions. Complimentary wireless Internet access keeps you connected, and cable programming is available for your entertainment. Bathrooms have showers and complimentary toiletries. Conveniences include desks and coffee/tea makers, and housekeeping is provided daily. Take in the views from a terrace and make use of amenities such as complimentary wireless Internet access and barbecue grills. Guests can catch a ride to nearby destinations on the area shuttle (surcharge). Enjoy a satisfying meal at Sirens serving guests of Dampier Mermaid Hotel Karratha. Wrap up your day with a drink at the bar/lounge. Full breakfasts are available daily from 5 AM to 8 AM for a fee. Featured amenities include dry cleaning/laundry services and laundry facilities. A roundtrip airport shuttle is complimentary (available 24 hours).